One of our favorite things about the new year is that it welcomes new fashion trends and we cannot wait to see what they are and try them out. If we are being honest, there are an often the odd one or two fashion Dos that we think are absolutely fashion DONT’S! So, what is in store for this year? As we welcome 2019, we say hello to some previous trending favorites and something new (although it looks like we will have to wait for the weather to warm up a little because we can embrace them). 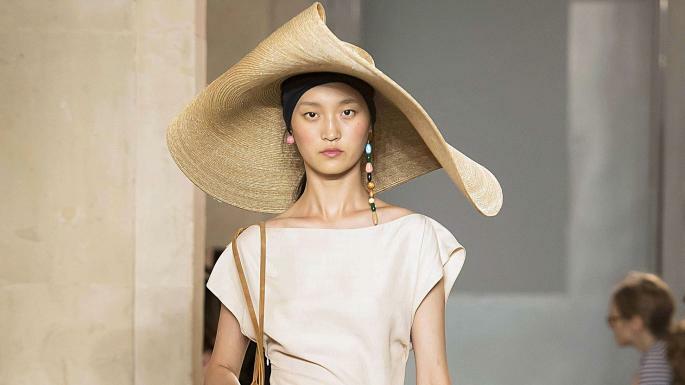 Each time summer is in full swing, a new hat trend pops up and last year, celebrities were even rocking the Jacquemus La Bomba hat, although this may have been a little extreme for the most of us. This year looks to bring those 2018 big summer hats back but with more colors, textures, and designs. If you’re brave enough to do it, then go for it! We saw a surge of influencers celebrating the cycling short trend in 2018 but we are beyond happy to announce that this trend is behind us and there is something new for us to enjoy! This year it is all about those tailored, knee-length, micro shorts, that fit great, are super flattering and come in an array of colors. This has to be one of our favorite trends! We have been toying with bold sleeves for a little while now but this year they are here in full force, but puffier! A dress with a square neck and puffy sleeves is to die for and we cannot wait to see more and more of this trend hitting the highstreets, although we’re not sure how they will fit under a small jacket – we’ll just have to wait and see.